Here we are months away before we dig through the bottom of our closets for those bathing suites we shoved back there just a year ago. Another year older another year wider. The best we can do is take advantage of the beautiful spring time vegetables and eat a salad. Yes that’s right a salad. That stale word on every dieters list of acceptable meals, right next to tuna fish and cottage cheese. 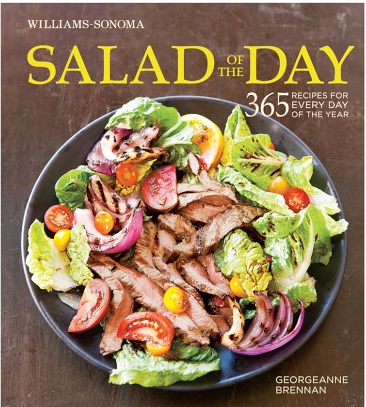 I personally used to hate salads until I met Salad of the Day by Georgeanne Brennan. The book has 365 recipes divided into seasons. And the layout and photography are quite intriguing as well. Nothing is more annoying than a cookbook with bad pictures. I’ve also discovered that it’s really easy to add little creative touches to salad recipes. Can’t really mess things up too bad! 1. To make the dressing combine all of the ingredients adding the oil in a thin stream and whisk. Or you can do what I do and put everything in an air tight container and shake really well. 2. If using fresh artichokes, squeeze the lemon half (make sure you get the zest off first) into a large bowl of cold water. Trim the artichoke stems, leaving about 1/2 inch. Cut 1/2 inch off the tops. Peel off the tough outer leaves (if you’re like me, you are probably sensitive to waste, but really those tough outer leaves have to go) until you reach the tender, pale green leaves. 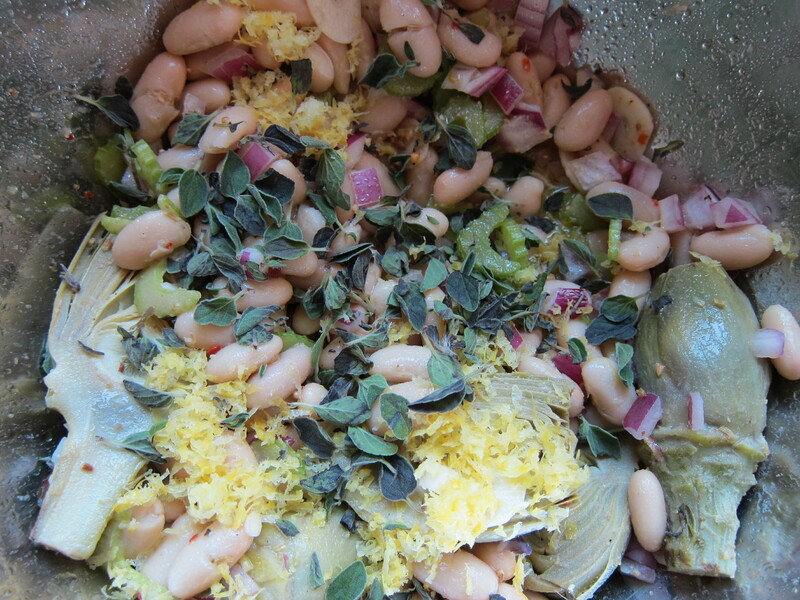 Cut each artichoke lengthwise into 6 wedges and put them into the lemon water pool. Bring a pot three-fourths full of salted water to a boil. Add the artichokes and cook until tender, about 15-20 minutes. Its always good to taste test one first. Drain and let cool at room temperature. 3. Combine all the ingredients in to a large bowl. For best results let everyone get to know each other for about 30 minutes before serving. Daniel Boulud’s New Cocktail Book…sexist? With my new job working on Food & Wine’s annual Cocktail book my radar has been extra sensitive to any news regarding the beverage category. Just released on Eater Daniel Boulud has published a cocktail book divided with drinks for her…and drinks for him. I’m no crazy feminist but something about this seems wrong. If you are categorizing me with pink, sweet, fruity drinks you are wrong Mr. Boulud. I think that’s my biggest problem. I don’t want someone telling me what I should and shouldn’t like especially when it comes to food and drinks. Funny because just the other night I was out to dinner with my brother and his fiance who made fun of the fact that somehow whenever they order drinks, he always ends up with the tall delicate pink glass and she gets the short-wide double rocks glass with the burly brown tones. We live in a world of color and non discrimination, every palette for themselves! I guess it’s an interesting concept, and I’m sure there are tons of couples out there who fit the bill, so enjoy! Maybe a cute idea for a wedding/engagement gift…that’s what this book says to me. Cheesy wedding gift idea. As a young girl I was always fascinated by people who had libraries in their homes, or big, extensive book shelves. It seemed to be a mark of intelligence or being highly cultured. You can tell so much about a person based on the books they’ve collected. So naturally, my shelves are lined with cookbooks! There are the classics like Larousse Gastronomique, or James Peterson’s Sauces or references like the Flavor Bible. And then come some of the more modern books from chef’s like Mario Batali and Rick Bayless. Wedged in at the ends are a couple no-name authors from the days of my low-carb diet and the classic In the Kitchen with Miss Piggy. One might mock this collection as its seems antiquated to have recipe books when you can find most anything online. But there is something about the tangible reference and stunning photography that is preserved in these books of art. And recently, the category is getting a little lift from Hollywood! For those of you fellow cookbook collectors out there make some room on the shelf for the latest from celebrity cookbooks. Gwyneth Paltrow, Sheryl Crow, Eva Longoria and now rumored Matthew McConaughey are sharing their family tables with the masses. Not surprising as it is in the nature of home-cooks to feel an overwhelming joy when they can share a meal or a recipe with friends and family. Why celebrity cookbook writing has become an industry trend is still unresolved. One thought is actors or musicians have a natural desire to express themselves, and writing a cookbook is just another creative outlet. Also, returning to the kitchen has been socially acceptable and as Gwyneth Paltrow literally demonstrates, ‘in vogue’ with her recent coverage from Jeffery Steingarten, Vogue Magazine’s food editor. People across the country are calling themselves foodies, lining up at food trucks, DVRing Top Chef and writing their own food blogs. And if you can call Matthew McConaughey a real person, it’s likely he’s caught hold of movement as well based on his recent appearance on Guy Fieri’s Food Network show. The celebrities that have talent in the kitchen are at an advantage to tap into this market. What’s inspiring is most of the books have a positive social message whether it be about family, or eating responsibly. Rather than writing a full-out biography, these celebrities have chosen to share their lives with us through something we all have in common, eating. 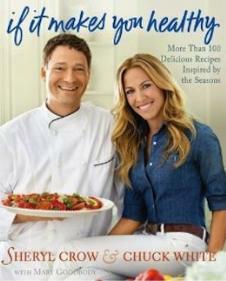 Sheryl Crow’s book is entitled, If It Makes You Healthy: More Than 100 Delicious Recipes Inspired b y the Seasons. The book is a collaboration with Nashville chef Chuck White who Crow had adopted as her own personal chef in 1996. Crow was inspired to eat healthier after she was diagnosed with breast cancer and since then has taken an honest and healthy approach to eating. The book has an ‘all-American’ feel to it as Crow reminisces about her childhood family tables and shares anecdotes of eating with her children. The book has an apparent ‘eat responsibly’ undertone as it is organized by seasons and Chef White communicates his passion about the responsibility of raising honest animals and shopping from farmers markets. 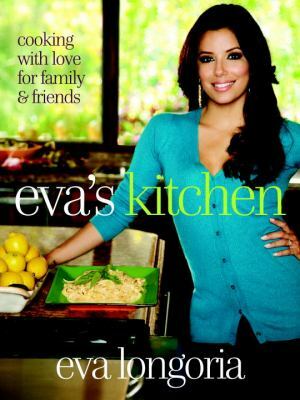 Eva Longoria shares Mexican inspired recipes with a Texas flare in her book, Eva’s Kitchen: Cooking with Love for Family and Friends. Next to Gwyneth, it seems Eva had the most convincing to do as fans associate her with her flighty role on Desperate Housewives. The book is a true diary of her childhood cooking, recalling the first time she made eggs and the feeling of accomplishment. She also dedicates the book to her beloved Aunt Elsa who truly shaped her culinary destiny. Throughout the book, Eva shares technical tips from Aunt Elsa that really prove the authenticity of this housewife. The book jumps off the page with it’s vibrant colors and vivid photography covering the basics of garlic green beans, all the way to sweet potato empanadas, and the most talked about tortilla soup. It will be interesting to see the direction this trend will take. Matthew McConaughey will surely add some variety to the category if he goes through with it. Who will be next? Brad Pitt has been taking lessons from Jamie Oliver, anyone need to know the best way to get a family of eight to agree on the same meal? Gwenth Paltro Likes to Eat! In the late 90s I was pretty obsessed with two Gwenth Paltro’s films, Shakespeare in Love and Great Expectations which I still own on VHS! As I flipped through the August edition of Vogue I saw the article they did about her upcoming cookbook. 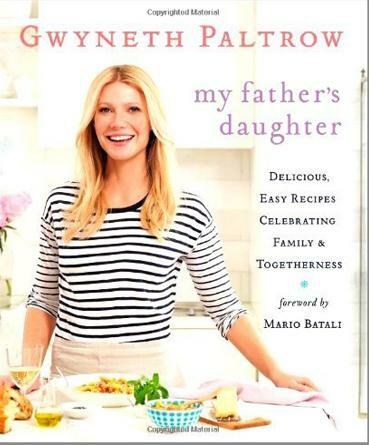 Normally I don’t read these celebrity features but thought it was pretty unique that an Academy Award winning actress was putting a cookbook together that stands for something you rarely hear about in Hollywood: family. The book is meant to stress the importance of togetherness at mealtime, emphasizing that cooking for your family is the ultimate expression of love. Couldn’t have said it better myself. Health food was never really on the agenda, it was about fun and deliciousness and togetherness. . . . The most striking aspect about his cooking was how much joy he derived from feeding people that he loved. I mean, genuine, bursting happiness…This book is meant to channel the ethos of my father by sharing the greatest gifts that he imparted to me. Invest in what’s real. Clean as you go. Drink while you cook. Make it fun. It doesn’t have to be complicated. It will be what it will be. Paltrow may be the only celebrity I’ve ever heard of that openly admits she loves pizza, french fries and pancakes. The book also is said to have some healthy recipes and an ‘eat responsibly’ undertone.